Jim Mires, Vice President of Loss Prevention for DSW, Inc, believes growth and embracing change are two of the most important factors when it comes to running a successful loss prevention program and helping others develop a knowledge base beyond their normal expertise. Earlier this year DSW did exactly that, with a reorganization of its LP department - swapping the roles of three senior-level LP executives, eliminating the District LPM position, expanding their investigative capabilities and defining role clarity in a way that supports growth long-term. "As an LP profession, we should be focused on helping people learn and grow - even to the point of uncomfortability," Mires said. "At the end of the day, it's about the total value you add to the organization." Mires himself went from LP to Store Operations in 2001, working as a District Manager for Old Navy and later at Pottery Barn Kids. He joined DSW in 2011 as Regional Director of Field Operations and made the move back to loss prevention in 2013 with his promotion to VP of LP. In the first few months on the job, Mires saw an LP department full of people who were great in their individual roles but didn't really know the roles of others. The field executives were always field executives. The home office executives were always home office executives. David Holt (former Sr. Regional LP Manager) was named Sr. Manager of LP Operations. Jordan Rivchun (former Sr. Manager of Investigations) was named Sr. Regional LP Manager. And Matthew Brooks (former Manager of LP Operations) was named Sr. Manager of Investigations, all three of which are now based at DSW's corporate office in Columbus, Ohio. "It's important for our people to learn and appreciate what each other does," said Mires, who, with these moves, challenged his team to exercise difference muscles and build new relationships. The response has been outstanding. "I'm so pleased with the way they've embraced their training, supported each other...I couldn't have imagined it going any better." As a specialty footwear retailer, DSW operates 450 stores in 42 states, the District of Columbia and Puerto Rico. Still, Mires felt the company wasn't big enough yet to justify the District LP Manager position. With a need to expand and re-focus DSW's investigative capabilities, Mires transitioned the two DLPMs they had into Regional Investigators, giving DSW a total of five nationwide, with each focusing on internal and external investigations in their respective region. Their five regional investigators now aligned perfectly with their five operating regions and their five regional LPMs, providing more clearly defined responsibilities, cleaner lines of communication between the field and the home office, and actually increasing the productivity and impact of each executive. "The reorganization wasn't about cuts," Mires said. "It was about continuing to grow in different ways. It was important to establish role clarity. The re-org allows DSW to be more responsive to the needs of the business." With DSW rapidly growing, Mires says it's important for him to stay in tune with the company's growth and have LP positioned to support it. "It starts with the people," says Mires. "Our people need to be open to change, understand the bigger picture...You can't be resistant to change or you silo people," which in turn ends up stunting their growth and the impact of the LP program. Of special note here is that the DSW LP team played a critical role in helping establish the New York Metro ORC Alliance and has always been engaged and highly motivated in the industry, with attending numerous trade show conferences and always being open to helping other LP executives. 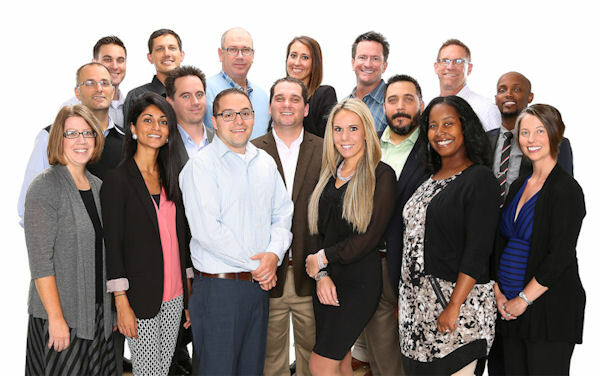 It's a great team and with new roles and strong leadership we're sure they'll continue to deliver great results for DSW, the LP industry, and for their own individual careers. Good luck to the entire DSW LP team!